We were fortunate to have visited Rome, Italy, twice, in our lifetime (so far!). The first time was for Highlander’s 50th birthday (April 20) and the second time was for a family vacation to visit Islander’s brother at his congregation’s headquarters where we got to meet his Superior General and other brothers and sisters from around the world serving in God’s missions. While in Rome, Islander did as the Romans probably do and ate veal cutlets with prosciutto and sage. The tender beef combined with the salty and earthy flavors were a “jump in the mouth” (the literal translation of “saltimbocca”). We ate different delicious foods in Italy, occasionally treat ourselves at Italian-American restaurants on “date nights” and “month-aversaries” and sometimes cook Italian dishes and post the recipes on our blog. To celebrate the birthday of Rome, we made Saltimbocca alla Romana. Try this tasty recipe and experience the flavors of Italy jumping in your mouth! Use a meat tenderizer to pound the veal into thin pieces. Place a sage leaf on top of each veal slice. Cover each with prosciutto. In a flat dish, combine the flour with salt and pepper. Dredge both sides of the veal in the seasoned flour, shaking off the excess. In a large skillet, melt the butter and olive oil. Slip the veal slices prosciutto side down into the skillet and cook on medium high heat until brown on one side. 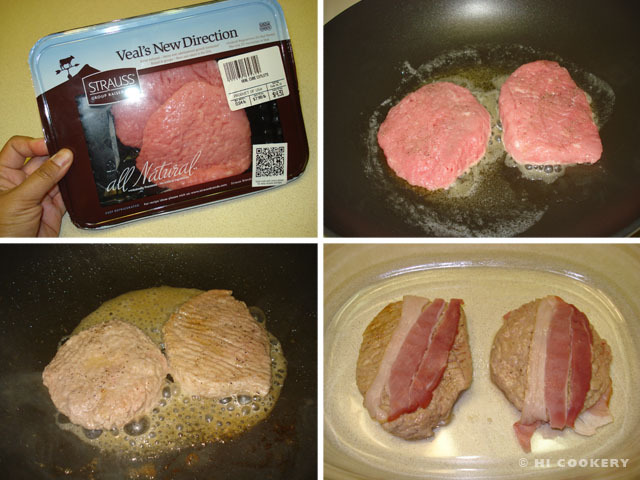 Flip to veal slices and brown on the other side. Transfer the veal to warming plate lined with paper towels to absorb the grease. 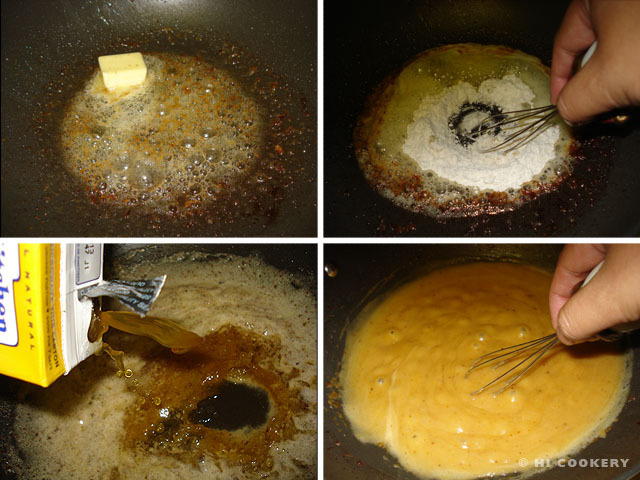 In the same skillet, mix a tablespoonful of the seasoned flour into the meat drippings/grease to make a roux. Stir in the chicken broth and white wine and heat until thickened (may stir in another tablespoonful of seasoned flour, if necessary). 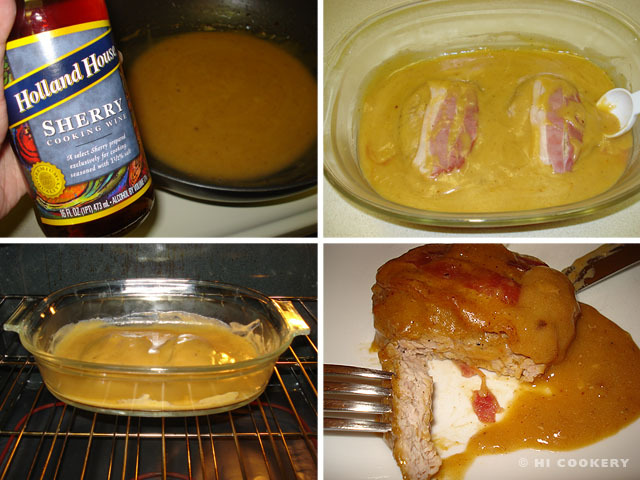 Serve the veal hot and spoon the gravy over it. This veal meal is perfect with pasta! Avoid overcooking the veal or it will be tough to chew. 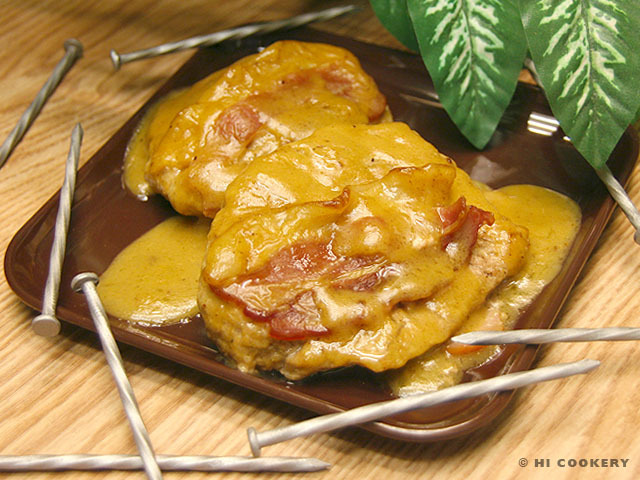 Make Marsala Veal for a similar dish to Saltimbocca alla Romana. Both Italian dishes have a flour coating and are served with a wine-based gravy. Search our blog for more Italian recipes. Inspired by the announcement that the Pantone company chose “marsala” as the color of the year for 2015, Islander cooked Marsala Veal for our first dinner of the new year—in our new home in the Gulf Coast area of Texas. We had moved from Southwest Texas only a few weeks ago during the hectic holiday season and are still organizing our kitchen and pantry. We blogged about Marsala Chicken a few years ago. We revisited the recipe and used veal instead of chicken as the “propitious protein” for the new year and, like Pantone’s description of the color, Marsala Veal is a fulfilling meal, especially when served with other auspicious foods, such as noodles (“longevity”) or rice (“riches”). 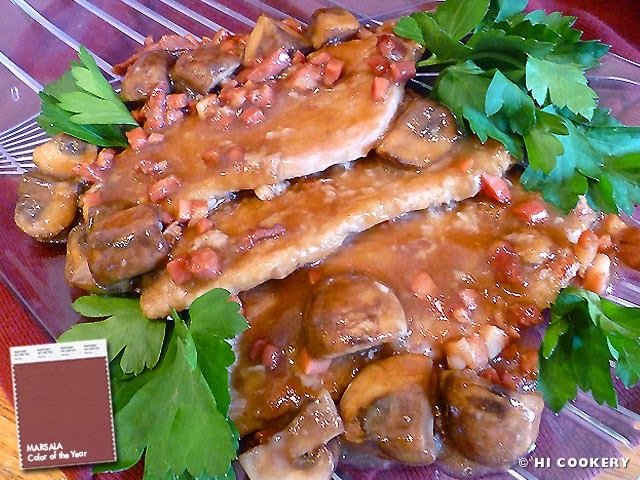 Enjoy the color of the year as well as this recipe for Marsala Veal. Happy 2015!!! Dredge the veal in flour, shaking off the excess. Heat a little olive oil over medium heat in a skillet. Fry the veal until both sides are slightly browned, being careful not to overcook the slices or they will not be as tender. Transfer to a plate and keep warm. In the same skillet with the drippings, fry the prosciutto. Add the mushrooms and sauté until brown. 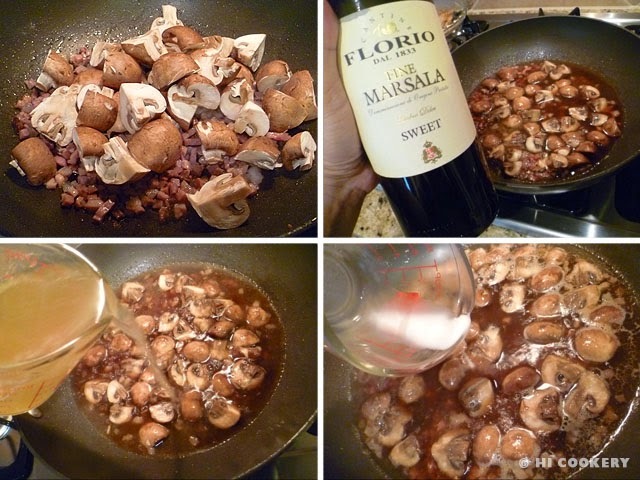 Pour in the Marsala wine and cook for about a minute. Stir in the chicken stock. In a small cup, make a paste with the cornstarch and water. Stir into the sauce to thicken. Put the veal slices back into the skillet. Simmer for about five minutes. Put on a platter and garnish with parsley flakes. Serve with pasta noodles or hot rice with the sauce poured over. Good luck to Highlander in his new job in the Gulf Coast area of Texas (the reason we moved from our beloved San Antonio). Good luck to all our blog readers in the new year! Search our blog for other new year’s recipes. We do not have an association with Saint Cloud except for Islander’s college classmate, Barbara D., who was from St. Cloud, Minnesota. Even long after graduation, Islander, Barbara and a few of their other classmates would run into each other at national conferences, where they caught up with their career and life’s paths. We later learned that Barbara and her husband, John, had also honeymooned in Scotland like we did! For the feast day of Barbara’s hometown patron saint, we cooked veal cutlets with gravy (Kalbscoteletten à la Saint Cloud). Now this traditional German dish will always remind us of Barbara and John, their hometown and St. Cloud. Tenderize the veal cutlets by pounding them thin with a meat hammer. Season with salt and pepper. In a skillet, melt the butter and brown each side of the veal cutlets but do not cook through. Transfer to a baking dish and top with a bacon strip. Make the gravy. In the same skillet where the veal cutlets were browned, melt the butter. Stir in the flour. Pour in the chicken stock, scraping the brown bits from the sides. Keep stirring until thick. Season with salt and pepper. Mix in the sherry. Pour the gravy over the veal cutlets. Bake in a preheated oven at 350 degrees F for 20-25 minutes or until the veal cutlets are cooked through yet tender. Serve the veal cutlets immediately with a side of rice or potatoes, spooning the gravy over them. We halved the original recipe to feed just the two of us. But we followed the original measurements of the gravy because we like sauces with our meats. 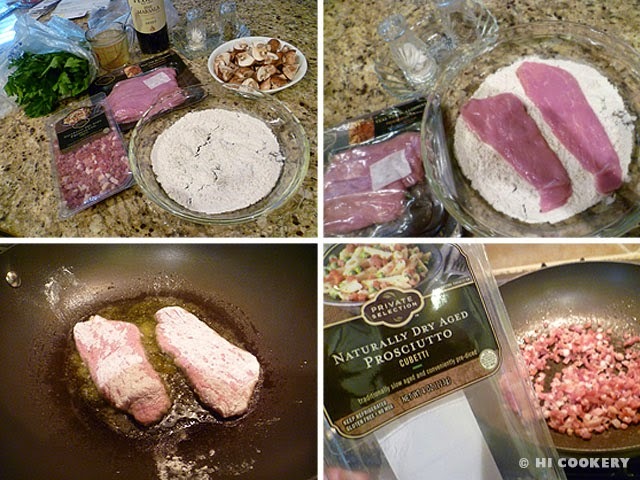 The author suggests inserting small pieces of truffle or a flavorful mushroom into the cutlets for a unique taste. However, truffles are expensive and not readily available in most areas like ours. St. Cloud is the patron saint of nail makers in France. So our final food photo above features the large nails that Highlander used to build our backyard deck.